The iMac finally gets a touchscreen. Apple’s iMac lineup hasn’t seen any major design changes in years, but a clever new concept imagines some simple ways that Apple could bring some big innovations to its all-in-one PC. And we’re totally in love. 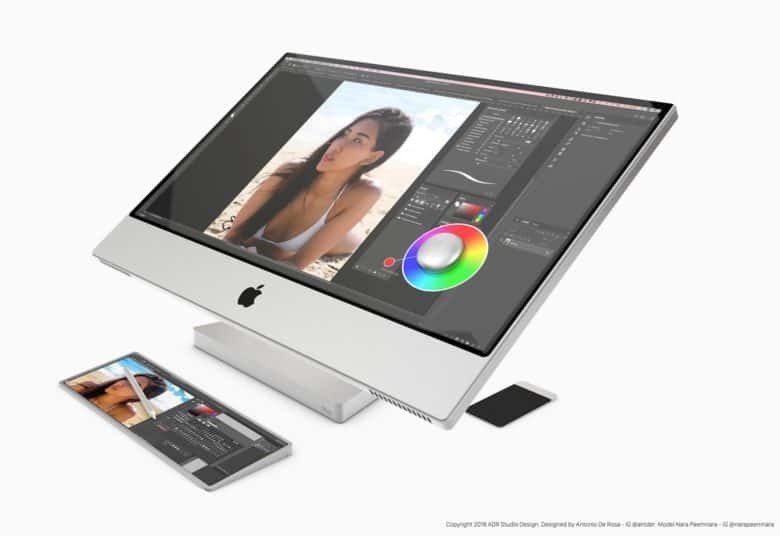 The Mac Touch concept created by Antonio De Rosa would transform the iMac into a powerful creation PC by adding a revolving and adjustable touchscreen. Video and photo editing, drawing, or even just surfing the internet would feel more magical on this iMac. It even brings back the hockey puck mouse with a new twist. Instead of a regular keyboard, De Rosa envisions a new Apple Touchboard that is completely touchscreen. It can act as a regular keyboard or a secondary screen giving users even more input options. Both sides of the keyboard pack a Touch ID sensor for quick unlocking. The Apple Touchmouse is another interesting idea that would also add more controls. It can be charged wirelessly along with the Apple Pencil. The entire setup is very reminiscent of Microsoft’s Surface Studio. Typing on this keyboard would take some getting used to. Other features would include 3 USB C ports, 3 Thunderbolt ports, headphone jack and an SD card reader. 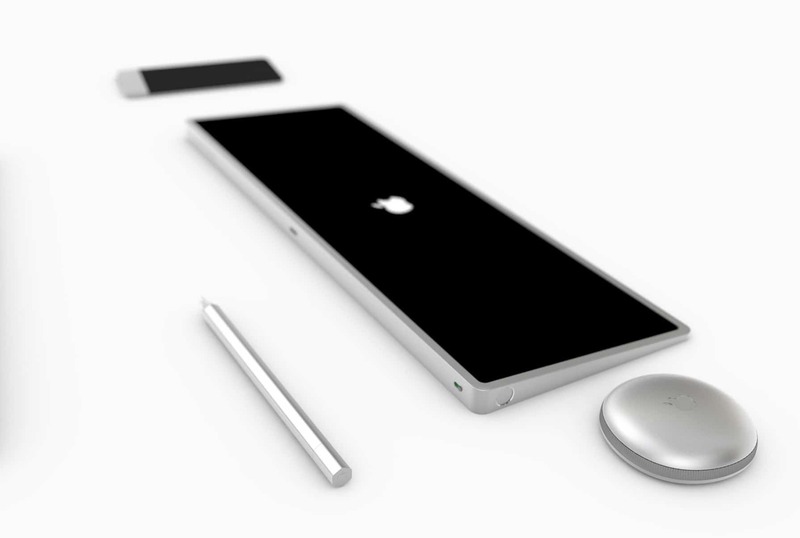 All of that would be packed into an aluminum base with a 27-inch retina display. Check out Antonio’s portfolio for more concept images of it in action.